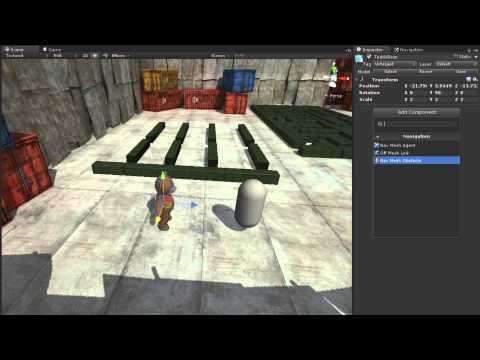 Navmesh obstacles provide a dynamic way to block agent pathfinding on a navmesh. These items are not baked into the navmesh, and thus can move around freely while getting in the way. In this video we will learn about the navmesh obstacle component and how to apply it to objects in a scene.